Located 5 minutes’ driving or a 15-minute walk from Praia da Oura Beach, the Ourabay Hotel Apartamento - Art & Holidays features units with equipped kitchenettes and an outdoor pool. 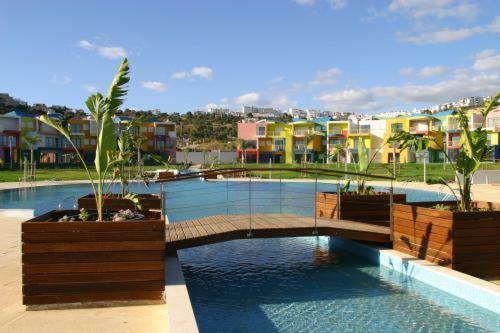 Within walking distance of Albufeira’s marina, this 4-star resort offers luxury rooms and villas in a garden setting. 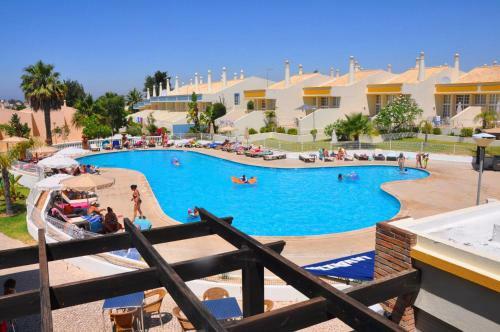 It features an outdoor pool, tennis court and Albufeira views. Located just 100 metres from Albufeira Marina, this 4-star property offers an expansive outdoor pool lined with sun loungers. The self-catering accommodation features spacious seating areas and balconies.